Hello darlings! Hope you all are having an amazing week so far! 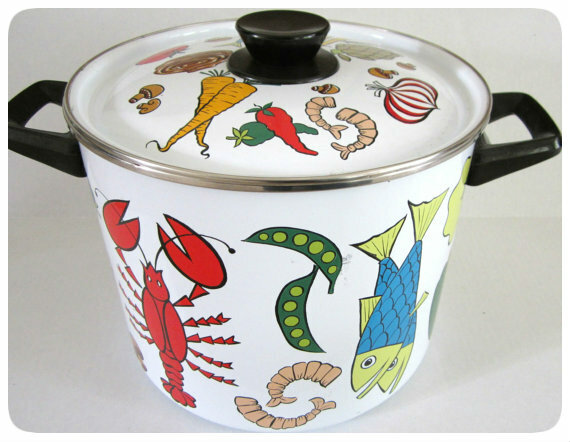 This week's Kitsch Krazy is all about enamel pots! 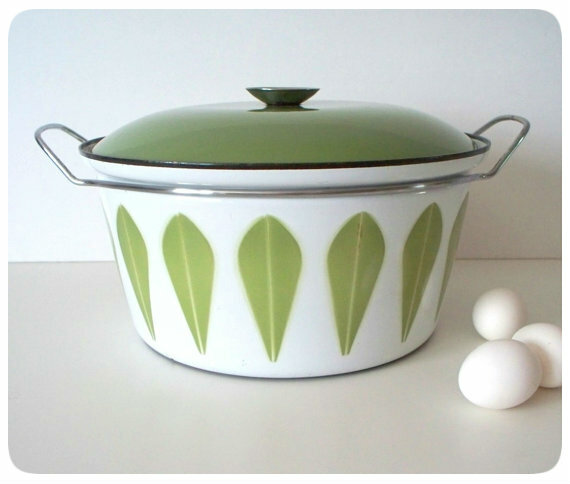 I've been having great luck lately find thing these babies during my thrifts ( I recently found a Cathrine Holm!) so I thought they would be a perfect addition to my Kitsch Krazy posts. 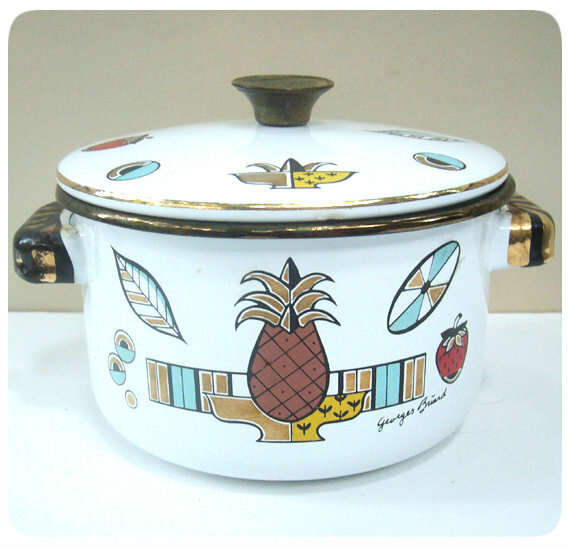 Enamel pots are so great because often they can be found in bright colors and with super fun patterns and images. I love having my pots sitting on my range, out for display! They give the perfect amount of POP in my kitschen (see what I did there, so clever)! 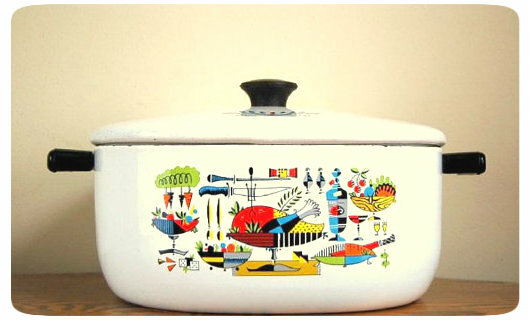 Here are a few pots I found on Etsy that made me swoon. Love them! 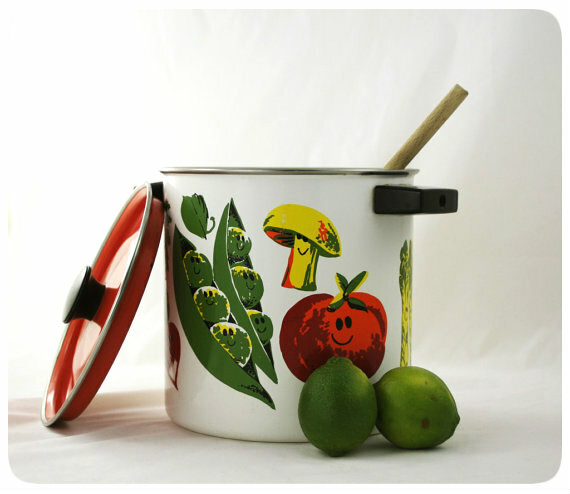 They would definitely brighten any kitchen! Oh yes! They are great to display! Aren't they?! I love the pineapple one! Those would definitely make me want to cook more often. Yes, but I would hate to see them dirty! Haha I barely cook in mine. I'm so weird! Very nice! Reminds me of nordic graphic design!